Well i'm better and ready to do some of my Random Mission's Series. Well i'm going to call you like you Jhan Dave. Goodluck from your new project :D.
Hey Jhan Dave how are you? BB codes work in GTAFORUM while making a topic? Well, if you wan't to on hold your new project of Remaking the T.W.D. And i just want to say that. Can you add me into your Respect list :D.
Finally. I'm back on DYOM. I've been offline for weeks, cause of many problems or some other moddings. @JhanDave - I can't do anything bro , It will take time to make MP.Well , when my MP will complete then can you make a forum of it? Welcome Gregorio. I hope you'll be a good designer. Feel free to ask anything. @Aftab Adeel - Thank you again, Aftab. You're such a respect person. Hello Gregorio. Name's eurylei. I am one of Jhan Dave's Fan, because he's designing such good and unique missions with a good story and characters. Oh by the way, nice to meet you Gregorio. Sorry, been on trip something, so can't get online here. Didn't designed an single nor mission pack yet. @eurylei - Hi! Jhan Dave tell me that you're one of his fans, I already know it. It's nice to meet you, bro. I will be progress the MP if only Jhan Dave can help me make the voice sounds & soundtracks and unique stories got from him yet. So I don't know if he help me from all this. To be honest. Jhan Dave's life has changed now. He's now a senior student and he's my friend too. jhan,can you reupload the SD and german skin in MOH:H3?? Hi bro, I really like your works at making missions. I wanna be your friend! That'll be good! I'm real interested at your mission! Hey JhanDave291, I wanna delete some mission of my page can you tell me how please. New Progress MP: "Battle Los Santos"
Topic link is on the table. Hi JhanDave291, I want to ask you that I wanna create table of my projects preview, how do you create a table please tell me. News: [MP] Battle Los Santos will now progress for the full series. Sorry for a very long wait. Been busy for school activities and scripts for the game L4D2. Nothin' I got my answer, thanks! Man, I can't wait until you release that Battle LS MP I really like your missions! I've played the demo hundreds times it's very thriller. You still don't know me. I'm very interested at your work! You're my best designer. I hope I become just like you. A professional designer. Hi JhanDave, I want to ask you... about your country. I don't wanna mock but I heard that Philippine is a poor country. Is that right? I'm very very very sorry brother. I didn't mean it, let's just forget it. Anyway, did you check my new MP's topic I don't know if it's good or not. Just tell me your opinion about it. Wait, you mean Bad Lands Topic? Hi, can you tell me how I can make spoiler in my topic. Please. Hey, how can i create a Quote? Hi JhanDave, can you please tell me how can I upload a trailer on my topic. [News]: Half-Completed of the Battle Los Santos. I did it, it didn't work. Something is very wrong with my gtaforum, the words aren't at the middle of the page, I don't know why. Just 15 days remain of Battle LS release, I'm waiting for it! Does it have 8 mission like your other MPs or most? Do you know someone who design awesome MPs, I'm bored in my house. And good luck with designing it. I hope it become the must promising MP. Hi Jhan, I wanna ask you how can I let the words of my topic begin from the middle? Due to the DYOM Site problem. I've delay my MP that are been progress. Will open the progress when the DYOM Site problem has been fixed. See, know I can send a PM without any problems. Try my option. Now it's your turn to help me. Tell me how can I create a Project review table? 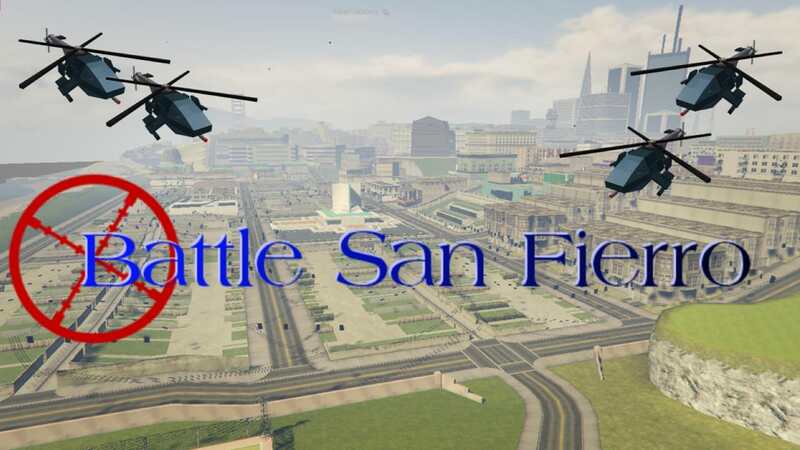 [News]: Battle Los Santos is 87% Completed. Almost done, but need some ideas. [News]: Battle Los Santos is 100% Completed. Now ready to download. [News:] DLC for Battle Los Santos has release and available to download. Good Luck! Well bye Jhan Dave. You are the greatest friend and a designer that i've ever met since i've first played your missions. I hope you have a good life and a free time for your self. I sended them on the mediafire, check that. Welcome,Hey Dude if you saying that dyom is broken,i think is fixed....because the bug was stared with mission and then login bug but login bug is fixed and i think you Can Make Missions Now!Have Fun Bro! Is been To long Jhan,Am Gta Man82 By The Way,My Old Account is Hacked.....I Support you,Now You Back,So A Will Add you to Respect list,Thx! Pre ang ganda ng mission mo baka pwede mo kong add fb Mark Andrei Rico picture lalakeng bulag.Para malaro ko yan Mission pack mo.at gawa ka ren ng MP ng Soldier Vs Maute thanks. hi jhandave.This is Warbrother32.Now Soap Mactavish.U forgot me or u gonna add me in ur list of best friends? my pc got busted for 4 months.After it got repaired,I"d lost all interest in dyom by then. So I took a break.But I'm back now. P.S Gang Days V3 is in progress. Hey man.do check my motw88# mission and tell me bout it.if its good pls vote..
hey did u check my motw# 88 missions? Hey Jhandave are u on social media like whatsapp? Bro, are you still designing missions? Welcome back bro, are you gonna make more missions? Want me to give you an idea of an Project? Hi Jhan :) Long time I haven't see you, how you are doing? BTW, I forgot my password on my old account VenomDYOM.